TAIPEI (Reuters) - Taiwan's exports are expected to have contracted 2.93 percent in January from a year earlier, according to the median forecasts of 14 analysts polled by Reuters. 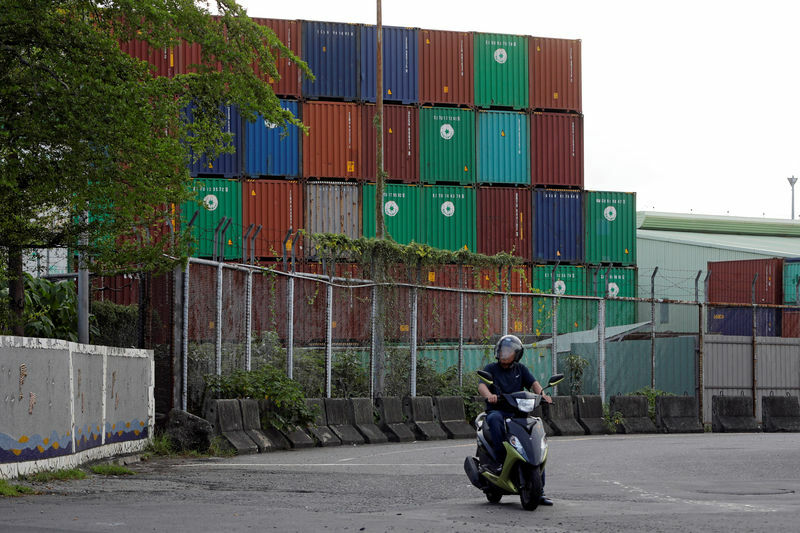 The trade-reliant island's exports dropped 3 percent in December from a year earlier. Taiwan's annual inflation rate in January likely increased to 0.4 percent from a mild contraction of 0.05 percent the previous month, the poll showed. Export orders in December had suffered their steepest fall in more than two and a half years, increasing concerns about global demand for the electronic gadgets pivotal for Taiwan's economy.